I am going to post a reminder each week for the upcoming GRC TEAM MEETING . The aforementioned meeting will take place after the group run on Saturday, October 23 at the Chevy Chase Running Company. I have that picture hanging in the bathroom. 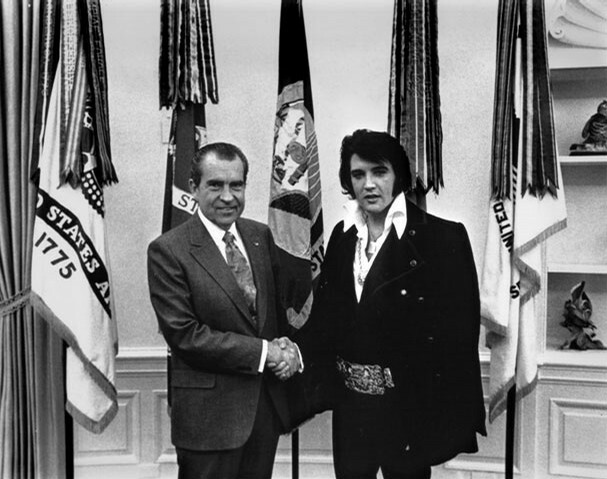 The caption reads: "The President and The King: Two Great Americans". Oh, and bring your team shirts. We should try to get a team picture with whoever shows up.